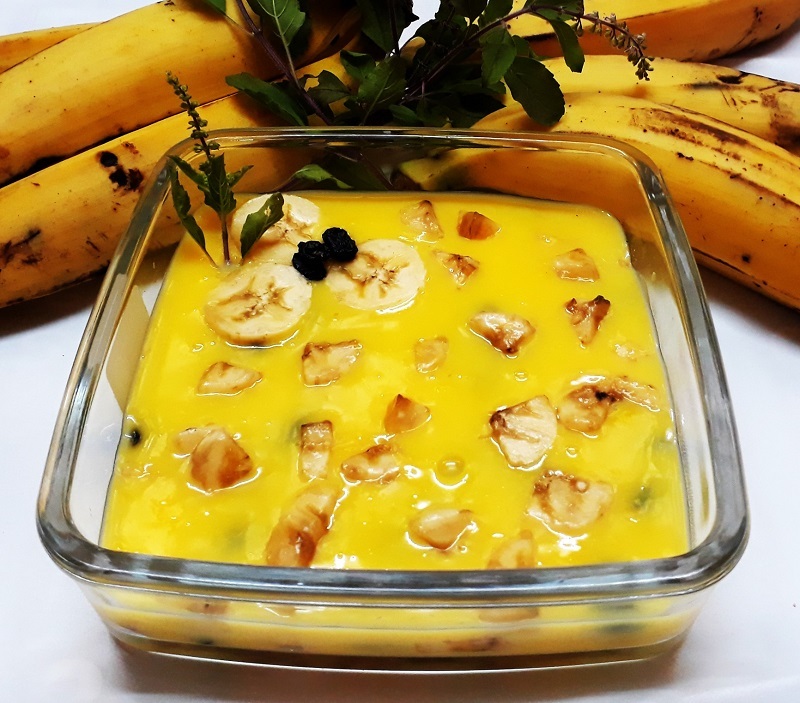 Banana custard is an easy chilled dessert that we can be prepared in very few minutes. It will takes less than 5 minutes to prepare. This banana pudding is prepared by using chopped bananas, custard powder and raisins. 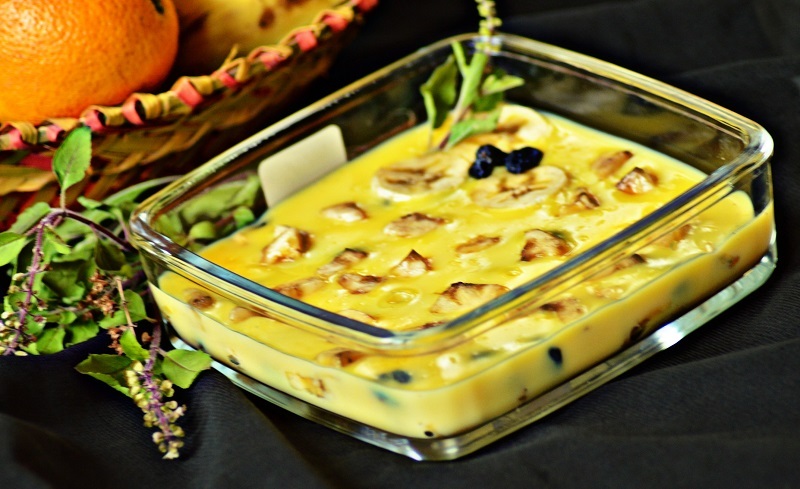 You can also use any dry fruits and vanilla essence for making this pudding. Here I will show you the simple method of preparation. 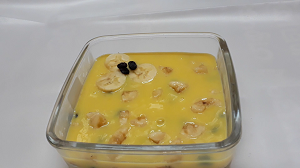 Lets see the making of banana custard pudding recipe is bellow with detailed images and video. I hope all you this, if you like this please do try and send your feed backs in comment box and subscribe yummy recipes. In bowl mix ¼ cup water, 2 table spoon custard powder. Dissolve custard powder in water, keep it aside. Boil milk and sugar in high flame until the sugar melted completely. Then pour the water-custard powder mix and mix well. Put flame in very low. Once its melted completely and the milk turns thick remove it from the stove. 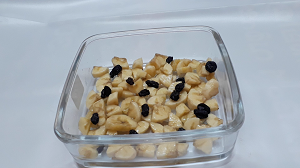 In a pudding bowl add chopped bananas and raisins. 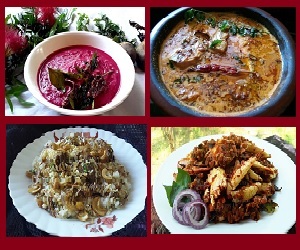 You can also add any dry fruits or any fruits. Then pour the custard mix and put balance chopped bananas and raisins on the top. Once its in room temperature cover it and kept it in the refrigerator for 30 minutes. The tasty chilled custard pudding is ready to use.